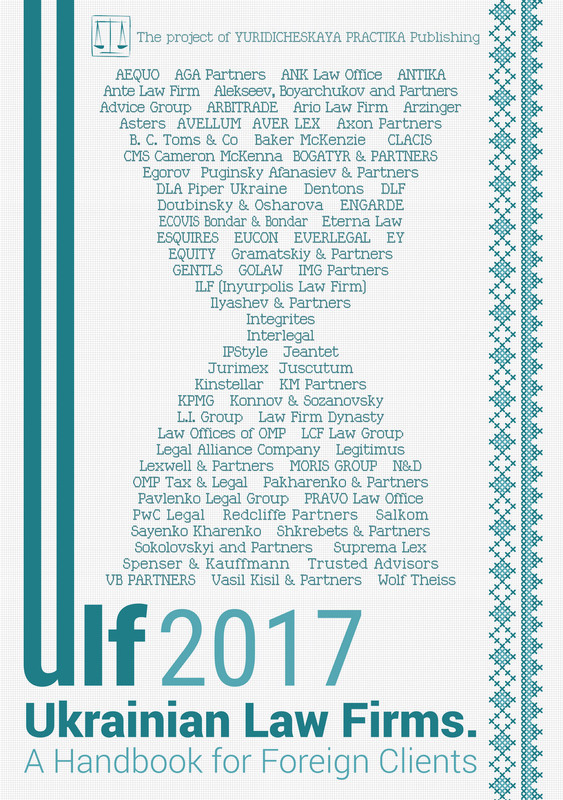 Law office of OMP is one of the leading full-service legal advisors to agribusinesses in Ukraine. We are experienced in advising agricultural holdings and private landowners. Our specialists have been advising farms of different sizes and locations in all regions of Ukraine since 2005. We have audited over 2,000,000 hectares of agricultural land over the last several years. We have been involved in major M&A projects in the industry. Our experts have profound experience in supporting litigations and arbitrations involving agribusinesses, both in Ukraine and abroad, including LCIA arbitrations. OMP is active in both educational and GR support of agricultural producers. In Ukraine today there are very few topics that are as fierce as reform of the land market. Indeed, the mention of potential liberalization of the land market usually results in an outcry which can hardly be referred to as discussion in any sense of this word. Nonetheless, the number of landowners willing to sell their land is steadily increasing. Both society and politicians are growing tired of the issue of this long overdue reform and the injustice of the ban on the sale of privately held land. The international donors of Ukraine, particularly the IMF, are also getting impatient at the lack of progress on the issue of the land market. In view of looming land reform, it is important to understand current regulations and practice in the land market. This knowledge provides valuable insights into life after the introduction of free sale of land. Many a myth is ruined by reading what the land law says today. To give just one example, there is sufficient legal protection of tenants in the case of sale of leased land plots. Importantly, the transfer of agricultural land is attainable despite the moratorium. It is also crucial to understand which legal issues are to be addressed for the land market to start functioning properly. Absent thoughtful regulation, the long-awaited land market could turn into a land bubble. This might have a devastating effect on agribusiness rocked by wave after wave of land speculation. Lured by the prospect of quick enrichment, traders in land will try to get as much land as possible from whoever will be willing to sell it. One of the major obstacles will be farmers leasing the target land. Land encumbered with land lease would cost substantially less. Few investors will be happy to wait until the end of land lease and thus pay the full market price for temporarily unavailable land. It is not improbable that landowners will try to push tenants off their land plots just to fetch a higher price for it. — any agriculture use in case of state-owned or municipal land plots. — up to 10.5M hectares (25.9M acres) of state or municipally-owned agricultural land. Contrary to popular belief, not all agricultural land is subject to the Moratorium. Thus, the ever-growing body of land privatized by individuals (with a maximum area of 2 ha available under such procedure) is freely transferable under Ukrainian law. The Moratorium set out by the Land Code effectively prohibits sale and purchase agreements, preliminary purchase agreements or any other instruments aimed at the disposal of land plots in future, i.e. in case of the Moratorium being lifted. The latter means that preliminary sale agreements, power of attorneys or other similar documents concluded prior to the lifting of the Moratorium may be deemed void ab initio under Ukrainian law. In addition, the Moratorium prohibits any change of the formal designation (allotment) of related land plots, thus, not allowing the pulling out a land plot out from the Moratorium’s limitations. At the same time, land pots under the Moratorium may be inherited, swapped or bought-out for public needs. With the number of landlords willing to dispose of their land plots steadily growing, both agribusinesses and private investors are actively buying the land that is being offered. Indeed, the sale of land is on the rise. The Moratorium makes the parties look for creative forms of sidestepping it. — emphyteusis agreements allowed under Ukrainian law without any limitation on the maximum period of land use (in contrast to land lease agreements). Emphyteuses are often concluded for a period of 100 to 500 years. Furthermore, Ukrainian law allows the sale (transfer) of the right of emphyteusis from one tenant to another without the consent of the land owner (freeholder). The above makes emphyteusis an effective substitute of land sale. — transfer of ownership (freehold) on the basis of land swap agreements. There is no clear cut regulation of such arrangements. However, the current market approach is to swap land plots, which are (i) located within the same district or municipality and (ii) designated for agricultural use, irrespective of the areas of the swapped land plots. Unfortunately, the Ukrainian authorities do not have any consistent policy in their treatment of the above arrangements. While they agree on the lawfulness of long-term land lease agreements, both emphyteuses and land swaps attract criticism on a regular basis. Furthermore, land swaps, which were once the most popular land transfer tool, were recently challenged by the Supreme Court of Ukraine. The court revised its previous case law on the basis of the more than creative interpretation of the statutory provisions regulating the Moratorium. The absence of watertight legal instruments for the transfer of land under the Moratorium mean that lifting the Moratorium appears to be the only viable response to the ever-growing number of landlords willing to sell their land plots. More than a decade of debate around land market liberalization has crystalized the few issues which are essential to the proper functioning of the land market. These include the following: permitted buyers; maximum number of hectares which can be owned by one permitted buyer; minimum sale price; preemption rights (right of first refusal); restrictions on resale of land. Permitted Buyers. It is expected that the deal breaker for any parliamentary vote on the land market would be the issue of permitted buyers. The majority of Ukrainians have an irrational fear of foreigners buying all the land and evicting the locals. Consequently, it is widely believed that any land market reform will provide for at least an interim period of 5 or more years during which only Ukrainians will be able to buy and sell agricultural land. Of course, Parliament may at any later time recognize the need to permit the purchase of agricultural land by Ukrainian legal entities or foreign nationals. It appears quite likely that legal entities registered in Ukraine would also be included among the permitted buyers. However, there may be restrictions on the beneficial ownership of such entities. Restricting the right to purchase to Ukrainian nationals only has an additional benefit of limiting the cash flow in the land market. While there are many investment funds and private investors willing to buy agricultural land in Ukraine, few of those will be willing or even able to use Ukrainian nationals as a vehicle for such investment plans. This might prove beneficial at the start of land market reform and the market will be less overheated and so less likely to spin out of control. Ukrainian society is reluctant to grant foreign residents the right to own agricultural land. It is unlikely that such possibility will arise in the near future. Nonetheless, following the interim period when fears of the unknown land market subside, foreign ownership might well be ushered in. Land Bank Cap. The issue of permitted buyers goes hand in hand with the maximum land bank limitation. Although the latter is less controversial, the popular approach is to limit the land bank held by one individual or legal entity. For individuals, the suggested caps range from 100 to 1,200 ha, for legal entities from 500 to 10,000 ha. There is little theory behind any of the above limitations. As in the case of permitted buyers, it is highly likely that caps will be increased (at least for legal entities if they are ever to be allowed to buy agricultural land). Minimum Sale Price. The rationale behind the fixed minimum sale price is to protect unsophisticated landowners. It is believed that poor rural landowners might be pressed to sell their land plots substantially below their market value. While case studies do not always confirm this theory, the popular consensus is to include such protection. The problem with the minimum sale price is that it can substantially slow down (and even block) reform of the land market. Unfortunately, in such cases landowners will arguably suffer even more. Instead of being underpaid, they will not be paid at all. While there are several approaches to setting a minimum sale price, it appears that the easiest and least subjective way is to use market valuation (as is the case with all real estate apart from land). Preemption Rights. In contrast to the previous issues, preemptive rights should protect the agribusiness more than landowners. If the land is to be put to its best use, then arguably those who work it properly should be the first to buy it. The owners of adjacent land plots or family members might have similar rights. While Ukrainian law provides for the right of first refusal of the lessee of the land plot, it is not clear whether such legal safeguards will survive after the start of land market reform. At the same time, their absence might have a major effect on agribusiness. Upon expiry of a land lease, there will no longer be any guarantee that the farmers working the land will be able to stay even if they are ready to match the highest bidder. This might also impact the ability of agribusiness to raise capital on public markets. Restriction on Resale. These provisions are introduced to control speculation on land. Their aim is to discourage any land purchase focused solely on subsequent resale. To that end, the law might provide for heavy taxation of proceeds from the resale of land. Often, the applicable rate during the first years after purchase might peak at 50%. The tax burden will decrease with every passing year, flattening out after 7-10 years of ownership. As many other Ukrainian reforms, liberalization of the land market is long overdue. It comes at a time when arable land is in short supply and in high demand. Even without a free land market, agricultural land is at the center of multiple conflicts between agribusinesses and landowners. The price of land lease has been steadily growing over the last 10 years. Currently, the medium term lease of prime agricultural land can easily fetch USD 800 to USD 1,500 per hectare. Freeing up the sale of agricultural land will further fuel the price of land and intensify the competition for it. Unless carefully managed and controlled, the land market could become as volatile and unpredictable as it was prior to 2008 (in the case of land for residential construction in and around the city of Kyiv as well as major metropolitan or seaside areas in Ukraine). Given the unfettered influx of cash, land speculation would quickly overtake the market. Agribusiness is set to be hit most by land market reform. Farmers will have to decide whether they want or need to buy every land plot offered for sale by their landlords. This will create a massive drain on the finances of their businesses. (Various opinion polls indicate that around 20% — 30% of landowners are willing to sell their land as soon as the ban is lifted.) Unhappy or greedy landlords may try to force agribusinesses off their land. This creates a substantial business interruption risk and will require a swift and firm response from any agribusinesses that are affected. In the absence of sufficient protection from the law-enforcement agencies, private land wars might ensue. On the positive side, liberalization of the land market will improve land management. The land market will kickstart land aggregation with few landowners collecting all or the majority of the land plots in each village. Several years down the line, agribusinesses will have to deal with just several individual landowners, instead of thousands they have to keep happy at the moment. The land market would resolve or at least expedite resolution of several problems plaguing land management in Ukraine. Land aggregation will make it possible to lease whole fields without facing sabotage from the lessees of any interrupting land plots, which is currently often the case. Furthermore, contiguous land masses accumulated by individual landowners will also make any field roads redundant. The roads would be sold by the state, ending the years of controversy over their use and the relevant fiscal liabilities. Both the medium and long-term effects of land reform should be positive. More importantly, whatever the negative consequences, which there could be quite a few of, there appears to be no viable alternative to liberalization of the land market. Both land lease and any other forms of land use, outside of a free market, have proved unreliable in modern day Ukraine. The Moratorium, which has lasted for more than fifteen years, has demonstrated that its overall effect on land management has been largely negative.